70 unique high definition waveforms. Select your your system and download the free demo instantly. Demo Limitation: Every 30 seconds a slight hissing noise will appear. 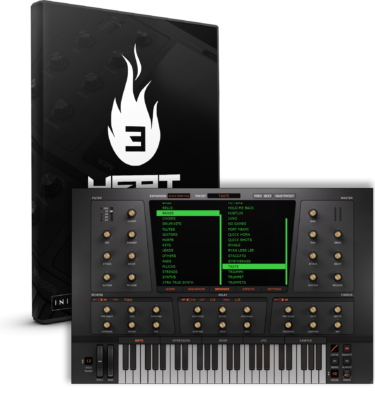 Our game changing synthesizer designed for that classic 808 sound found in many modern styles of music like Trap, Grime and Drum and bass. Unique Kick section: Develop the kick of your 808 sound. Sub section: For that extra bit of low end, features Fat mode and drive. Oscillator section: Layer two of the 70 available waveforms for a truely unique sound. Then apply its own envelope. Effect rack with Amp, Compressor, EQ and Chorus. Effect order can be changed. Compressor contains a built in sidechain from the kick section. Scope: View the end resulting waveform in realtime. Also shows if the output is clipping by flashing red. Advanced Graphical Envelopes: Control the curves and set the sections either from the display or use the knobs. Get realtime visual feedback of the envelopes current position. Many producers these days are using samples for their 808s, we designed 808 Studio to change all this. Samples are great but they can never be as high quality as generating the bass in real time. Enter 808 Studio. 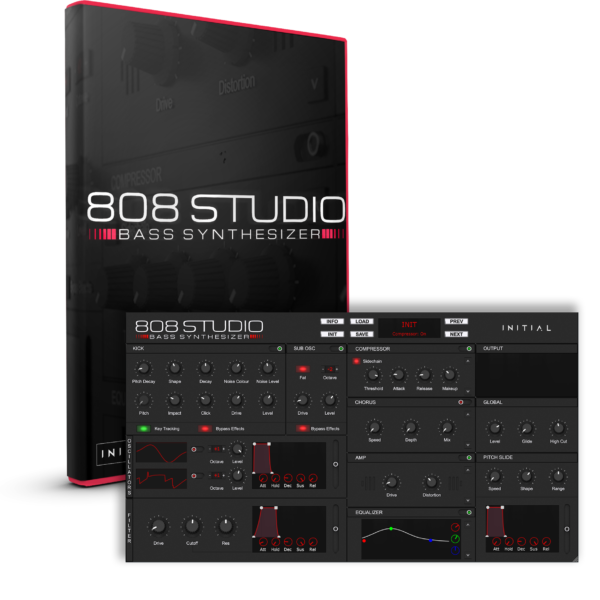 The basses in 808 Studio are generated from a selection of 70 different ultra high definition waveforms each designed to get you as close to the bass sound you want without too much effort. The higher the definition of the waveform the more harmonic content it can contain and hence the more rich and full it will sound at the lowest frequencies, exactly what you need for bass sounds. Being generated in realtime has even more benefits, now you can modify your 808s in ways not possible with samples. Change the waveform, apply a filter and modify the individual layers of the sound. Use 808 Studio to develop your own unique bass sound. It has never been this easy to create custom 808s ! 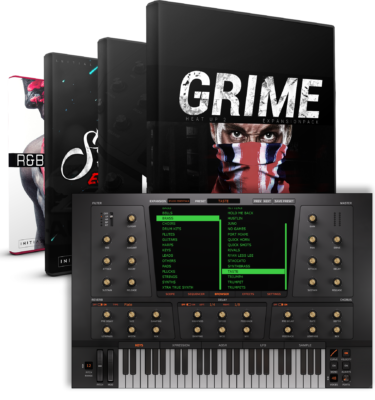 Create your own custom made 808s in seconds with 808 Studio even if you are not very experienced in using synths you will make amazing results fast. It´s hard to do something wrong with 808 Studio. 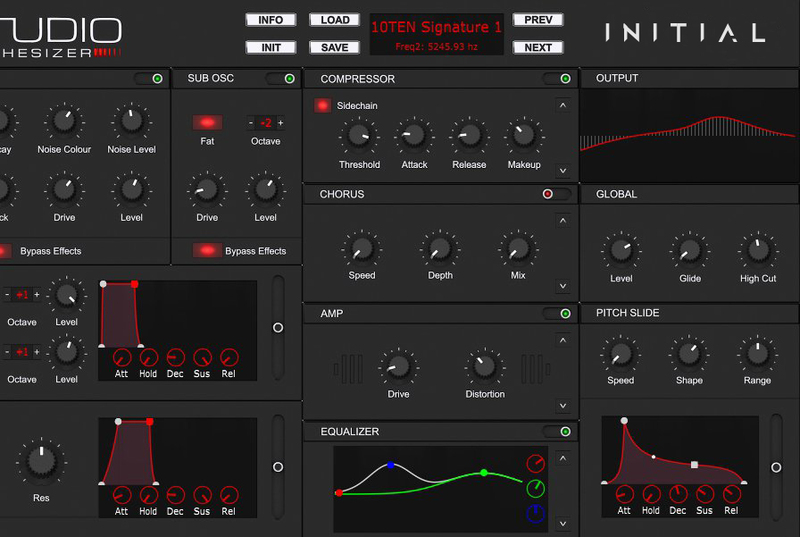 Don’t want to waste your time with sound design and just want production ready basses straight out of the box? 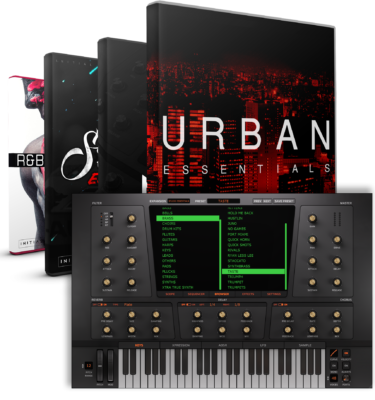 We’ve got you covered, 808 Studio comes with 200 production ready 808s and bass presets. These presets will have you covered for pretty much any bass sound you will ever need. Try the demo and see for yourself. Compatible with all major audio workstations. Bypass the effects: useful for keeping the fundamental frequency of the bass intact when using the Chorus for instance. Glide: Glide your bass effortlessly with one knob. Pitch Slide: Add pitch slide up or down and set the shape of the slide response.